Our delicious sharing boards give you the opportunity to try a range of our products through one simple purchase. 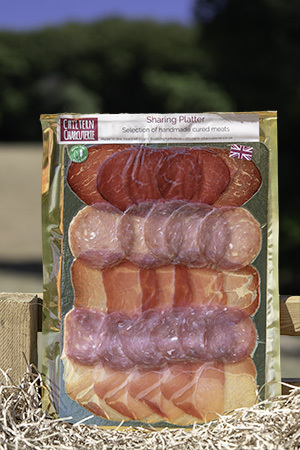 Offered with a selection from, Beef, Coppa, Pork Loin, Salami & Chorizo these meats are a perfect amount for sharing. Typically contains at least 4 different meats.